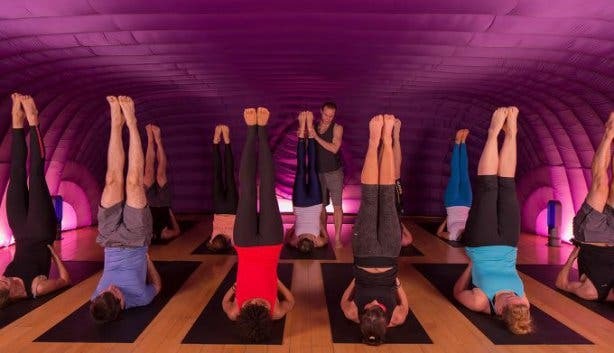 IT'S the BEST AND NEW: Cape Town's First Hotpod Yoga in the City. 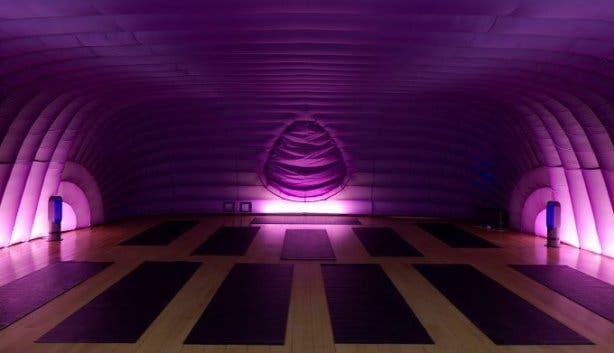 Hotpod Yoga is an inflatable heated studio where up to 20 people can join a guided yoga class in a unique space. 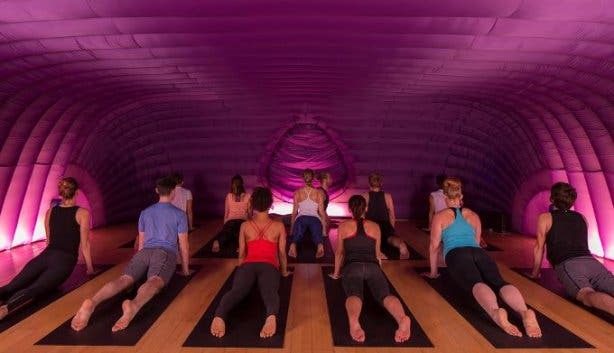 WHY YOGA IN A HOT POD? Why not, we say. 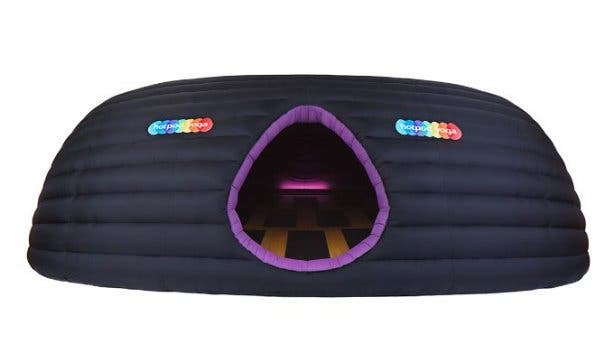 This dimly-lit seven by nine-metre purple pod heats up to 37 degrees Celsius, and is beautifully scented with a blend of essential oils such as bergamot and orange. Added to that is the sound of urban-chill beats. All this creates an ambience for body and mind relaxation. A session in this otherworldly cocoon is a little break from reality – a true escape from the city. The pods are designed to be portable. You’ll find this semi-permanent yoga studio in Salt River, close to offices, stores and restaurants. It’s inside the Salt Orchard creative space, an accessible and secure spot to pop in, not just before or after work, but even during your lunch break. 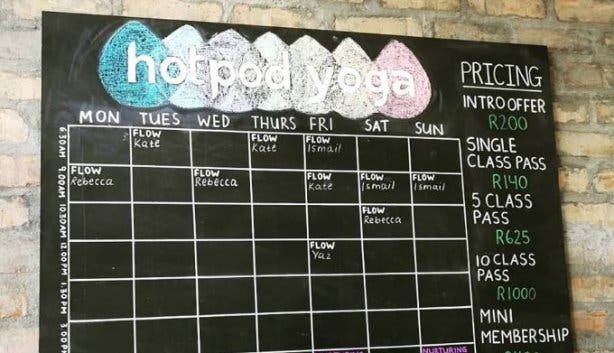 Hotpod Yoga comes from the UK, and launched in Johannesburg in 2015. 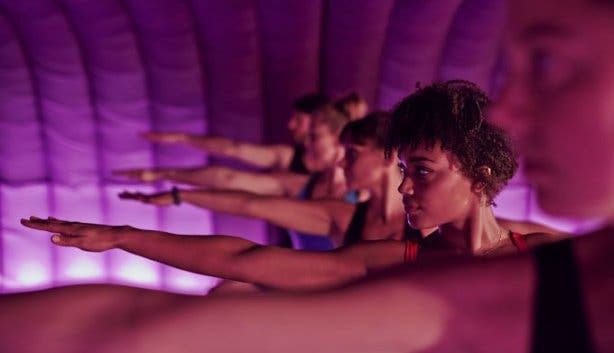 Hotpod Yoga Cape Town (the first in the city) founder André Hugo says that for him, the appeal is the heat combined with the pod, which offers him both a physical challenge and an opportunity to clear your thoughts. Experienced local yoga teachers are helping André bring “yoga designed for real life” to the city. The classes of active and passive vinyasa style yoga postures are suitable for all abilities, from beginners to advanced practitioners. You only need to bring water and a towel. 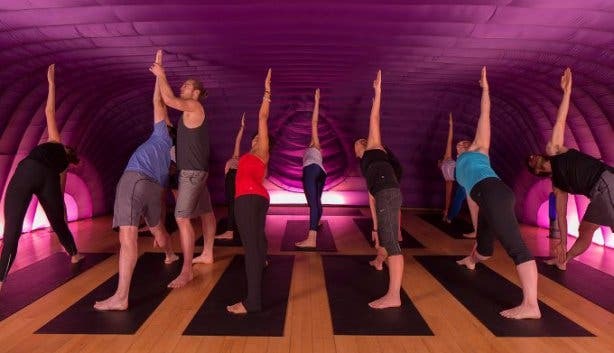 Go and attend to see why Hotpod Yoga is hot in over 40 locations around the globe. TRY IT – THE INTRO SPECIAL IS INCREDIBLE! You can attend as many times as you like every day for 10 days for only R200. Visit Hotpod Yoga for more details. Have you heard about the hottest new workout at Drenched heated boxing gym? And we always have something new for YOU to try out every week in our overview of new and unique experiences to try out and share. Outdoor yoga classes are a thing, try some classes at The Om Revolution at beautiful outdoor venues around the city with The Om Revolution.